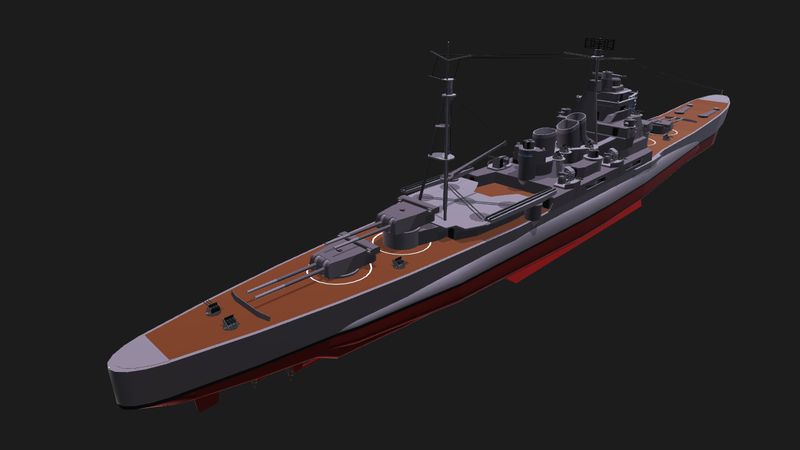 ''Ronin'' class heavy cruisers are the biggest NAN serial warships and important parts in New-Ardennes Republic naval strategy. 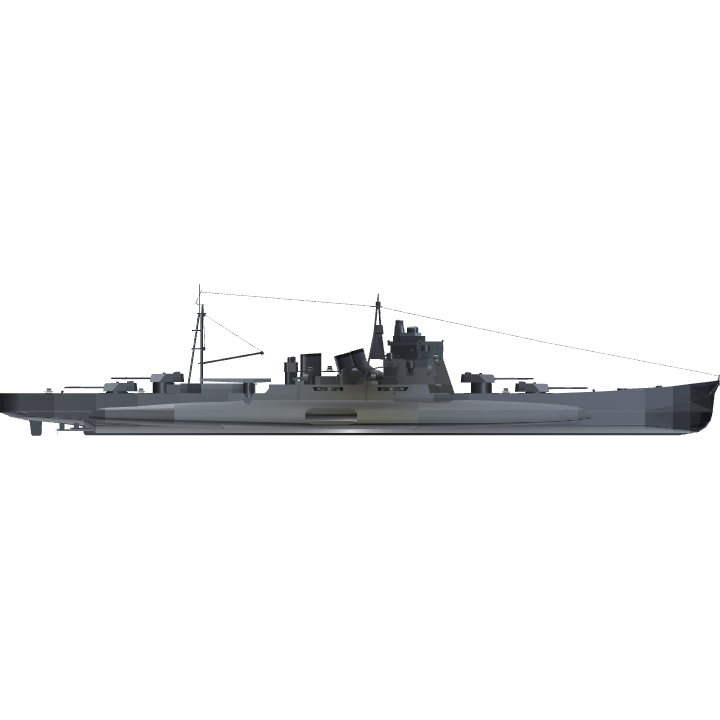 Well-armored and heavy armed, but rather fast and maeuverable, this ships were based on Japanese Takao-class cruisers groundworks and were designed for fleet batalies and rear raids (alone or with destroyers). 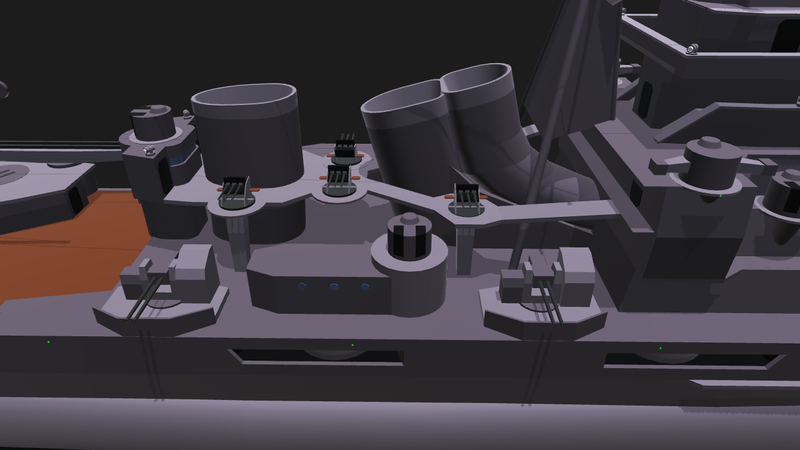 - 8 254-mm long-barelled guns (NA 10"/50 Type 1) in doubled gun towers. - 8 127-mm universal guns (NA 5"/37 Type 1) in doubled gun monts. - 14 tripled 25-mm anti-aircraft autocannon mounts (NA 25/3 AA Type 1). 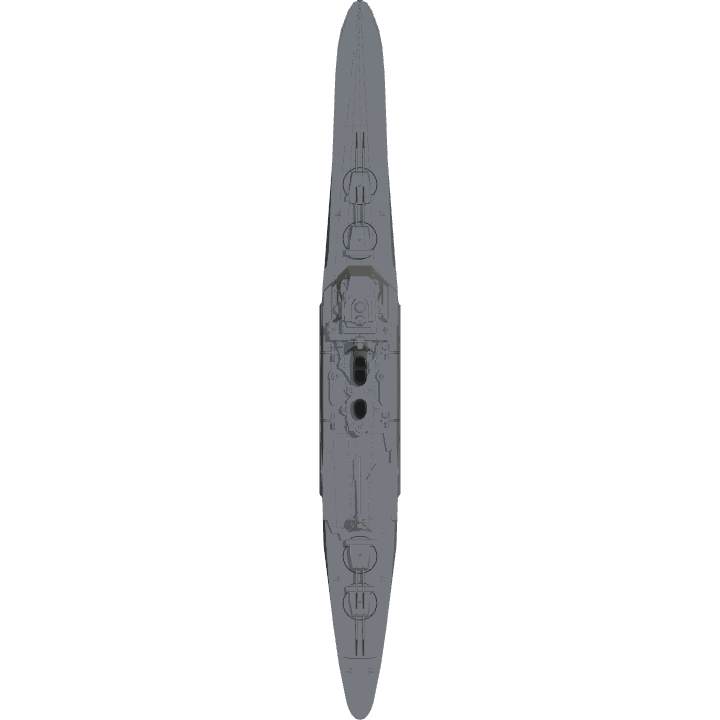 - 4 533-mm torpedo launchers (NA 533/4 TL Type 1) with 16 torpedoes summary. - 2 steam catapults for hydroplanes. Landing gears - navigation lights. @RigJig, sorry, man... It has over 1700 parts and not designed to be a mobile friendly. @Destroyerz117, if you about building process, I had built this ship in 0.5 scale and then just sized it to realistic. 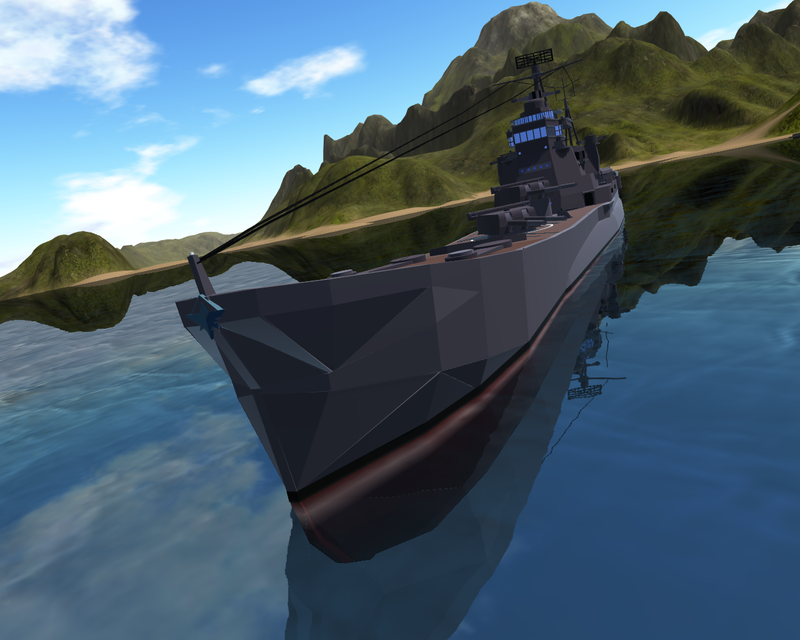 @Imashovel, "this ships were based on Japanese Takao-class cruisers groundworks"
You posses great magic young wizard. @randomusername, it's because I used the infinite fuel tank. W h a t⠀a⠀l i g h t⠀w e i g h t⠀c h a m p.